In this edition of the Guerrilla Project Management podcast, I interview Rick Morris, author of the outstanding and popular book: Project Management that works. I attended Rick’s presentation at a PMI Global Congress a couple of years ago and the insights that Rick shared had a profound impact on how I thought about my role as a project manager and how I managed my projects since then. 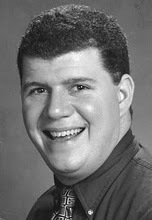 Rick is a PMP and an ITIL Practitioner, consultant, author, mentor, and owner of R2 Consulting. He is an accomplished project manager and public speaker. His appetite for knowledge and passion for the profession makes him a sought after speaker at PMI chapters, civic organizations, and a frequent guest lecturer at local universities. 1. You tell a story in your book “Project Management that works” about how reading the book “Radical Project Management” by Rob Thomsett had such a profound impact on your professional life. Tell me about how that experience changed you and shaped your mindset about project management. 2. You quote Rob Thomsett who said in his book that “projects fail because of context, not content”. Why is it important that project managers focus on the information delivered in the project as opposed to the product delivered? 3. In the first chapter in your book “Project Management that works” titled: “Understand yourself” you say. Great managers take time to understand how they will react in a situation and are honest about their evaluations so they can then learn to control and mitigate their weaknesses. You recommend to project managers to use the DISC model or similar tools to help them understand behavioral styles and preferences of themselves and other people. How can project managers benefit from such tools? 4. Project Managers sometimes fail to raise their hand and ask for what they need to make their project successful because of fear, apathy, and belief that their sponsor or manager will decline their request. How do project managers overcome this fear? 5. You say “If you doubt you can change or that your organization can ever change, you are probably right”. How do we move away from the helpless and victim attitude? 6. How we present information make a world of difference especially when we try to push back or handle pushback from others. Often the conversation becomes emotional. What are some of the characteristics and examples of emotional conversations? 7. What causes emotional conversations? 8. What’s the impact of emotional conversation in the context of negotiations and conflict? 9. Talk to me about your 3 step process for making emotional conversations unemotional. 10. You recommend a six-step process for obtaining and presenting data to the sponsor in an unemotional and fact-based manner. How do we apply this process to mandated dates and budget? 11. Tell me about the attitude of “it is what it is” during conflict situations? 12. Project Managers feel they have to become gatekeepers. They think they understand what the sponsor wants and they make decisions on their behalf. Why is it important for the project manager to present fact-based options for sponsors to make decisions but remain neutral about the outcome of the decision? 13. What is the importance of qualifying questions? 14. Tell me about the 100 Percent/10 Percent rule. 15. 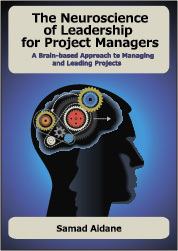 I loved the Patriots and scuds analogy in “Project Management that works”. Can you give a brief definition? 16. You say that “Drop everything” does not mean drop everything. What mistakes do Project Managers make when they are asked to change priorities? Rick holds the PMP (Project Management Professional), MPM (Masters of Project Management), OPM3, Six Sigma Green Belt, MCITP, MCTS, MCSE, TQM, ATM-S, ITIL, and ISO certifications. Rick has worked for organizations such as GE, Xerox, and CA and has consulted to numerous clients in a wide variety of industries including financial services, entertainment, construction, non-profit, hospitality, pharmaceutical, retail, and manufacturing. Rick has two books (“The Everything Project Management Book” and “Project Management That Works!”) that were released in 2008. Taking the experience of his youth and blending it with the knowledge he attained throughout his career, Rick has been able to inspire and mentor many project managers. His blend of real world experience and down to earth delivery style makes his passion for the profession contagious. Finally, if you get a chance, I recommend you attend Rick’s presentations at your local PMI chapter and at PMI congresses as he is an amazing presenter. I would love to hear your thoughts on these topics. Your comments are welcomed and I read and acknowledge each one of them. Thank you for the invitation. Yes, I am interested. I will contact you shortly. That has to be one of the best interviews on project management I have heard. I immediately purchased the book. Thank you for your kind words. I am glad you found the interview helpful.